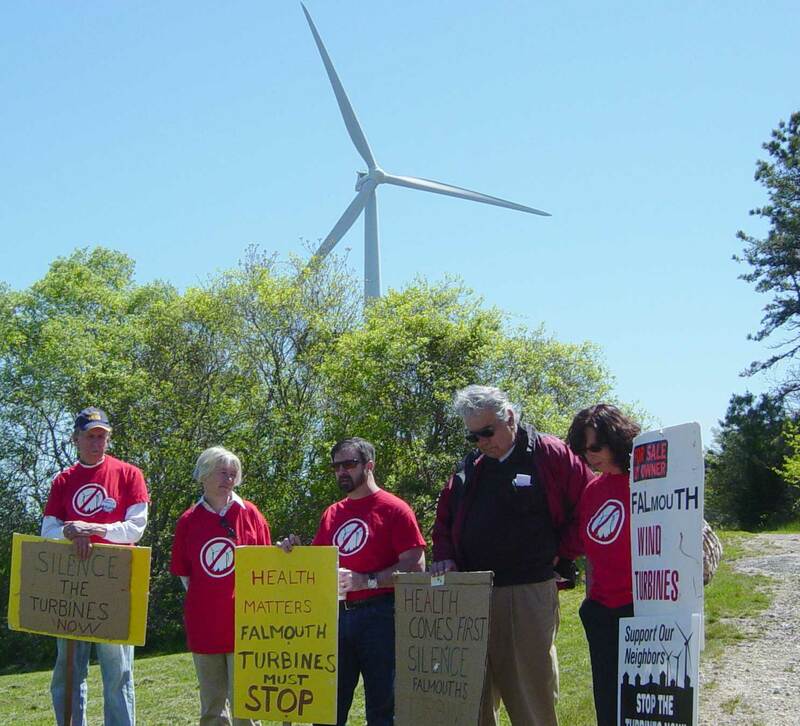 On Saturday May 12, 2012 the residents of Falmouth again stated their concerns about health impacts from the two town-owned turbines and the privately-owned commercial turbine. 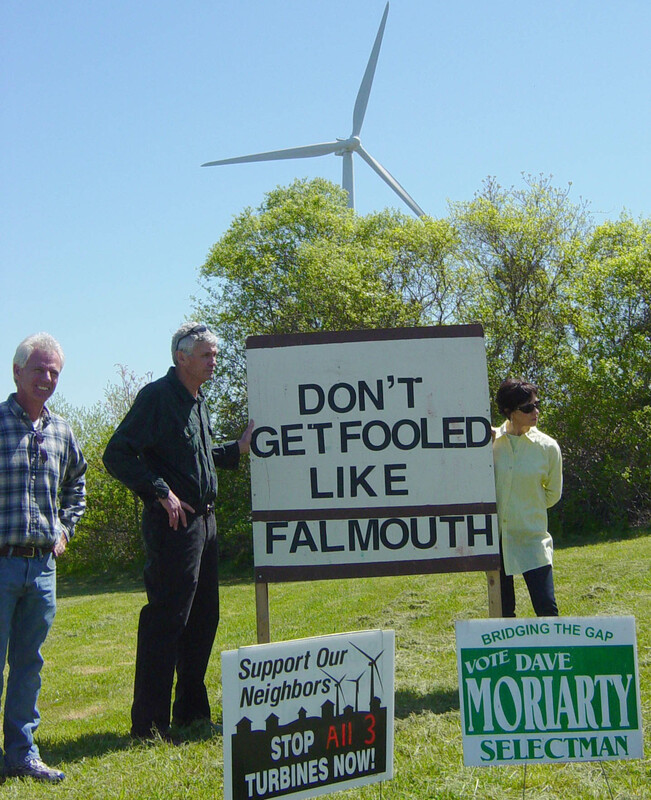 FALMOUTH — Led by selectman candidate David Moriarty, 12 people gathered at the wastewater treatment facility Saturday to speak out against wind turbines. Diane Broncaccio writes that Colrain and Heath have taken actions to evaluate industrial wind development in their towns as she continues her valuable reporting on hill town activities for the Greenfield Recorder. In Colrain, residents approved a one-year moratorium on facilities the produce more than 35 kilowatts of power (“Colrain approves zoning revisions“). Heath’s annual town meeting approved a year-long moratorium on large-scale wind (as well as photovoltaic electricity-generating systems). …they also agreed — unanimously — to allow voting on wind- and solar bylaws at a special town meeting, should the town have laws to adopt before a year is up. Moderator Douglas Wilkins explained that the town rarely votes on important zoning bylaws at a special town meeting, but doing so now could mean the town would have its own wind turbine and solar PV bylaws in place before the state Legislature approves a statewide siting law. “If they (Heath’s siting bylaws) are in place, we’re more protected,” Wilkins said. If they’re not in place, he added, the state commercial siting bylaws may take precedence. “There are entities in the state that are trying to circumvent home rule by using an energy reform act to streamline (siting) so these big, industrial wind things can be put in without the town having any input,” said Bob Dane, a resident. From “Heath moves to pre-empt state siting laws, at The Recorder, May 14 2012.